SCAFCO Track-in-Track Deflection System (TTDS) is a two-piece assembly that accommodates deflection of exterior curtain walls and interior partition walls. 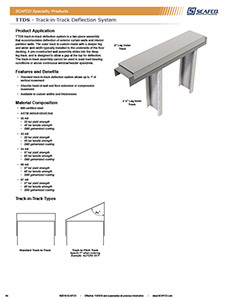 The outer track is custom-made with a deeper leg and wider web width, typically installed to the underside of the floor decking. A pre-constructed wall assembly slides into the deep leg track. 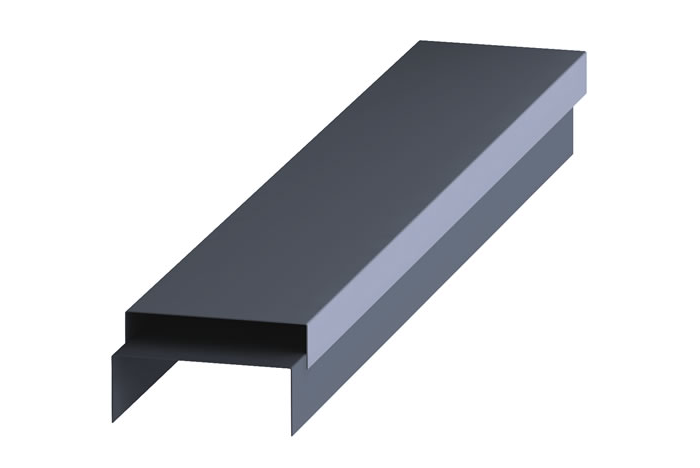 The wall assembly is designed to allow a gap at the top for deflection. 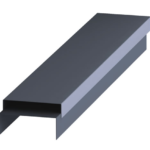 The TTDS assembly cannot be used in axial load-bearing conditions or above continuous window and header spandrels.